FILE - A man sits on the edge of a broken bridge spanning the Vivi River, Oct. 20, 2017, in Utuado, Puerto Rico. 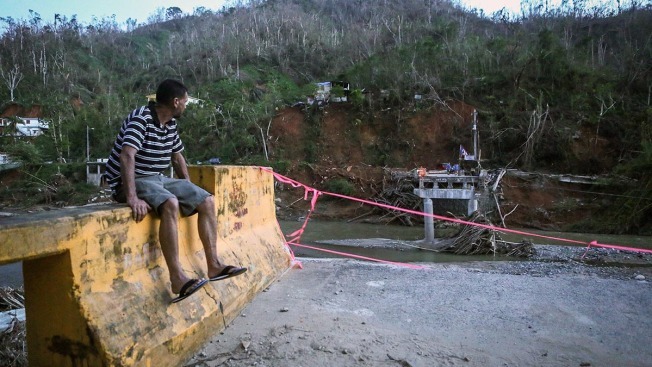 The bridge was washed away during Hurricane Maria, and ladders descending from the other side are the only way for members of the cut-off Rio Abajo community to access the rest of Utuado municipality. Puerto Rico's struggling government warned on Tuesday that it will face a cash shortfall by the end of the year and will seek billions of dollars in additional federal funds to help it cope with the expenses caused by Hurricane Maria. Officials said the devastating storm imposed enormous emergency costs while causing an estimated 50 percent drop in the U.S. territory's collections of taxes and fees, worsening an 11-year recession. 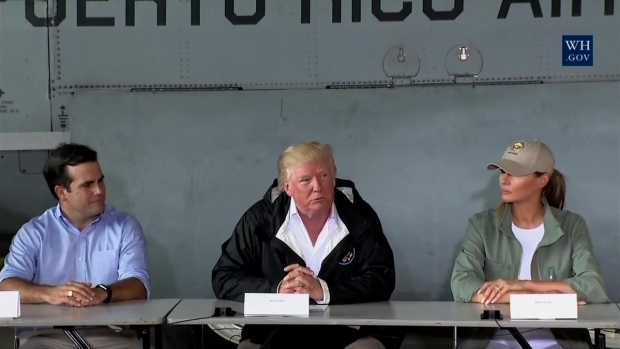 "The severity of the storm dislocated the island's economy," said Gerardo Portela, executive director of Puerto Rico's Fiscal Agency and Financial Advisory Authority. "The lack of electric power has further deepened the crisis." Portela said it was not yet clear how much it will cost to rebuild Puerto Rico, but he said the island suffered an estimated $45 billion to $95 billion in damage. So far, U.S. Congress has approved nearly $5 billion in aid to the island. Tens of thousands of people have left Puerto Rico, thousands of businesses remain closed and the island's power company is generating only 30 percent of its normal output. In addition, some 20 percent of people remain without water. Puerto Rico's government said it will see an estimated reduction of $1.7 billion in cash as a result of reduced collections, with an additional estimated $1.18 billion reduction in power and water income, with those two agencies currently running on cash reserves. Portela said Puerto Rico will inevitably face a cash crunch. The warning was issued at a meeting organized by a federal control board that oversees Puerto Rico's finances. Board executive director Natalie Jaresko said hurricane recovery expenses are substantial and that not all will be paid by the federal government. "We need to work with every single possible resource," she said. Jaresko also stressed the need for specific numbers on how many Puerto Ricans have left the island to get a sense of the economic effect. Some experts have said the island of 3.4 million people could lose more than 10 percent of its population by 2019, with nearly half a million already having left as a result of the crisis. 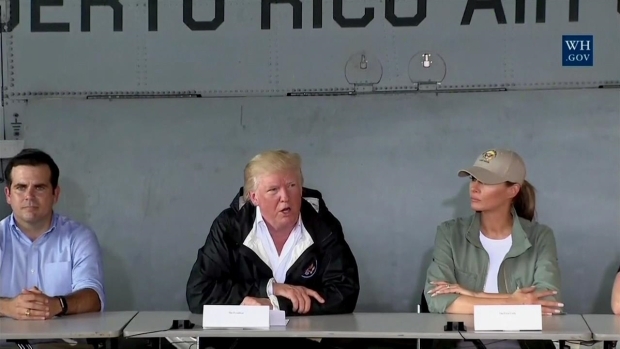 "We need to look at what this post-hurricane Puerto Rico reality is," Jaresko said. "We need to provide services, but only for the population that remains on the island." Jaresko also said the board will hold three public sessions in upcoming weeks to get a better understanding of the hurricane's effects on the island's economy and other sectors. The Office of the United Nations High Commissioner for Human Rights said on Monday that the conditions in Puerto Rico are "alarming" more than a month after the storm hit. "The hurricane has aggravated the island's existing dire situation caused by debt and austerity measures," the office said in a statement. 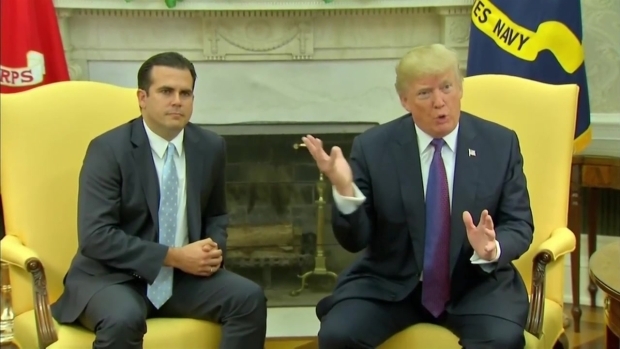 That assessment contrasted with comments made by Michael Byrne, Puerto Rico's federal coordination officer for the Federal Emergency Management Agency, who said at Tuesday's meeting that his agency was seeing a turnaround in Puerto Rico. He noted that more than 1 million people on the island have registered for assistance. "This is going to be one if not the largest efforts that we've ever undertaken based on the estimates as the damages continue to reveal themselves." As reconstruction efforts continue, contracts awarded to companies in Puerto Rico and the U.S. mainland are receiving greater scrutiny. Jaresko said any local government contract worth more than $10 million must be turned over to the board for review, and even lesser contracts also could be reviewed. 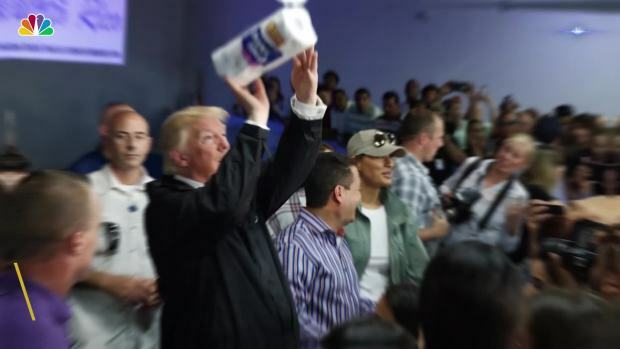 Puerto Rico's government said this week it would scrap a $300 million contract awarded to Whitefish, a small power company based in the hometown of Interior Secretary Ryan Zinke that had only two full-time employees at the time when the storm hit. The contract is being audited at a local and federal level. The board also has appointed retired Air Force Col. Noel Zamot to oversee power reconstruction efforts. The void left by Whitefish crews could lead to an increase in the amount paid to other companies helping restore power in Puerto Rico. On Tuesday, a spokesman for the U.S. Corps of Engineers told The Associated Press that the agency issued a notice of intent to increase a contract awarded to Fluor Corporation from $240 million to $840 million. "(The agency) is looking at several acquisition strategies to speed up grid restoration efforts," spokesman Jeff Hawk said. "This is one of them."